January marked Designer Showcase’s 7th year anniversary! 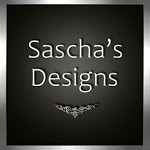 Congratulations to DS and thank you for the opportunity to blog about amazing creations and designs. When time allows, blogging in SL is my great escape from RL. 🙃 Designer Showcase will be back in February so stay tuned. Designer Showcase is a monthly event that began on the first of April and will end on the 29th. There’s an array of clothing, nails, accessories, shapes, poses, and skins to choose from and each item is 100L or less. I pimped out myself and my incognito avi with the killer prices. Click here to find the other items available on the Designer Showcase blog or here for a ride to the in-world location.